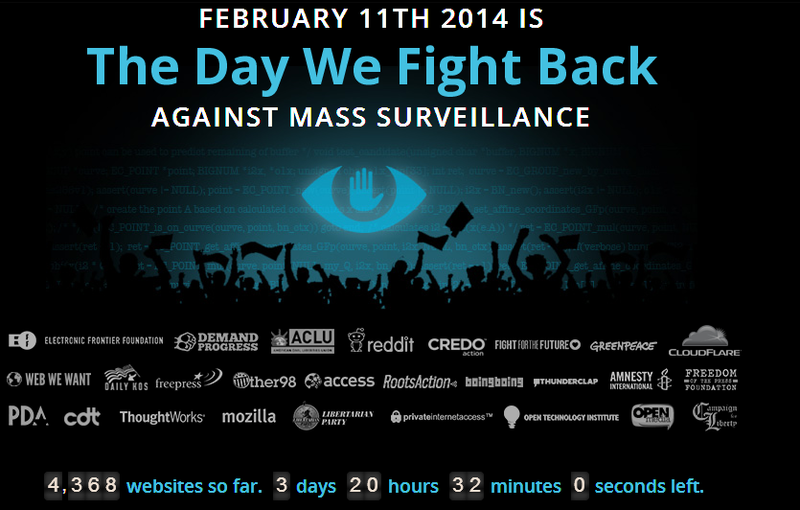 INTERNET PROTEST GROUPS, news websites and user webpages are clubbing together to fight mass surveillance next week on 11 February. The protestors are uniting under the "Day We Fight Back" banner, and include the American Civil Liberties Union (ACLU), Demand Progress, Mozilla, Reddit, environmental activist group Greenpeace and websites like Boingboing. The groups are uniting to protest after seven odd months of US National Security Agency (NSA) revelations on the anniversary of persecuted internet activist Aaron Schwartz's passing. The campaign launched in January and now, in the final preparation stages, the protestors are asking more people to participate. "Today the greatest threat to a free internet, and broader free society, is the National Security Agency's mass spying regime," said David Segal, executive director of Demand Progress. "If Aaron were alive he'd be on the front lines, fighting back against these practices that undermine our ability to engage with each other as genuinely free human beings." Not participating is Wikileaks, a website that has some common ground with the protestors. However, according to a blog post on the Fight Back website, discussions with Wikipedia have failed to meet on that common ground, and it appears that the organization will not be participating. The Day We Fight Back group has posted an open letter to Wikipedia trying to change its mind. "We believe Wikipedia should take part because the project and its crucial mission are threatened by the mass surveillance we now face, and because Wikipedia's participation can have a meaningful impact," it said. "Wikipedia provides access to material that might be considered subversive, that challenges authority structures, that cuts against what one can learn from government propaganda or mainstream media sources. It is precisely the people who engage in the editing and reading of this sort of material who are the most likely to be chilled - and the most likely to be noticed by the surveillance regime. In other words, the people that Wikipedia most needs to reach are the ones whose freedom is being most threatened."